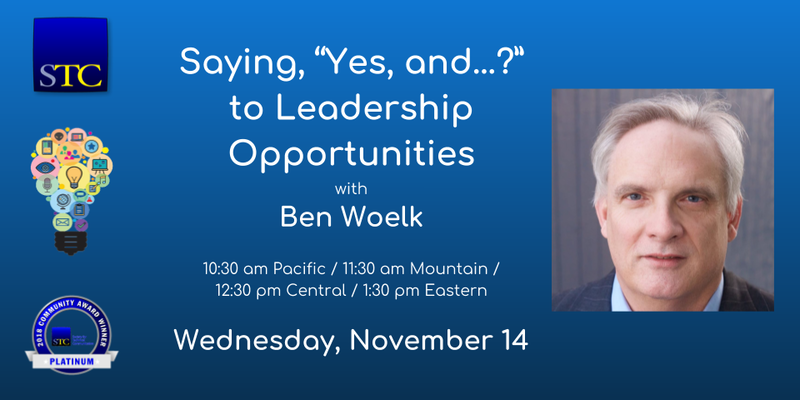 Join us for the Saying, “Yes, and…?” to Leadership Opportunities webinar with Ben Woelk. We will be recording the webinar, so feel free to enjoy the presentation knowing that you can see the recording at a later date. The content will be introductory (e.g., > “101 level”) and will also be valuable to practitioner level attendees. 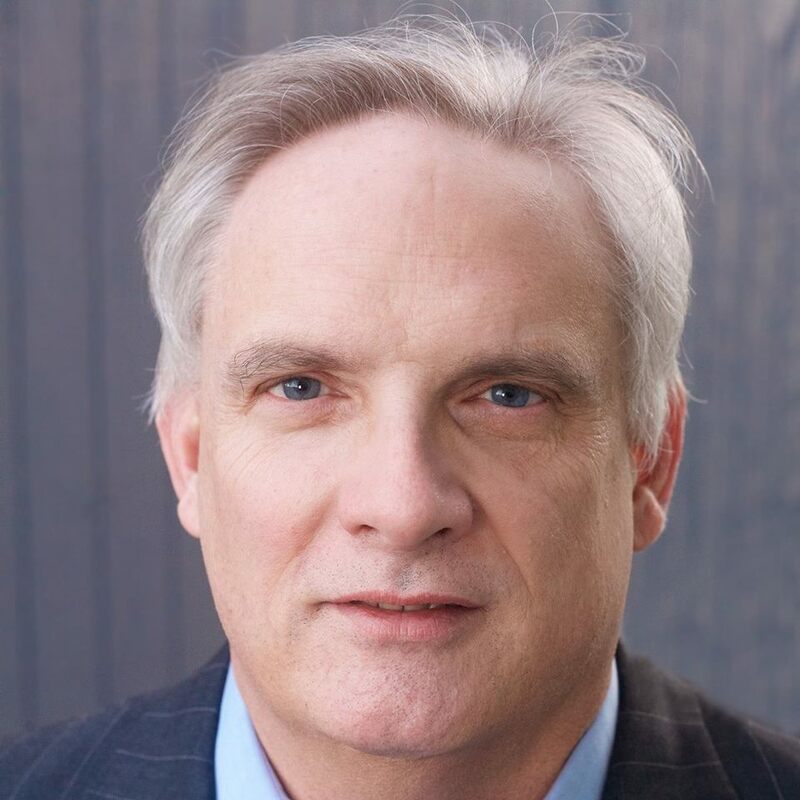 BEN WOELK (ben.woelk@nullgmail.com), CISSP, CPTC, is Vice President of STC. 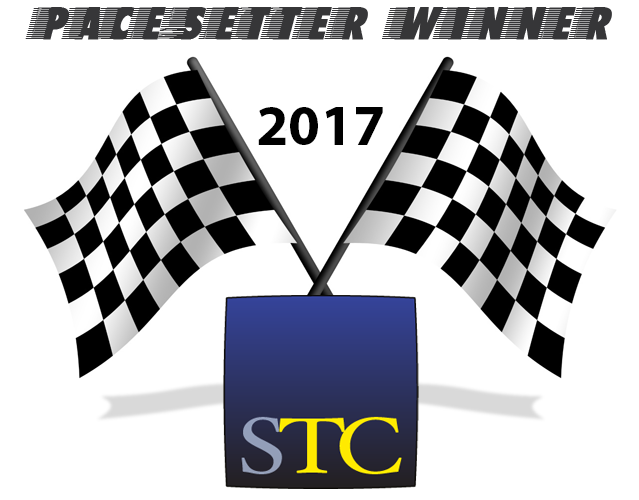 A frequent conference presenter, Ben has received numerous Society and local awards, including the 2017 STC President’s Award. 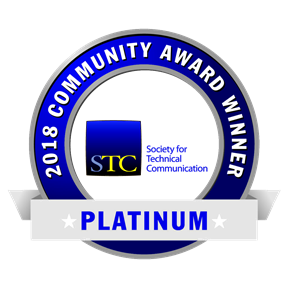 Ben’s 20+ years techcomm experience includes management, SW and HW documentation, ISO 9001 documentation, instructor-led and web-based training, end user communications, and policies and procedures. Find Ben on his website, Benwoelk.com, or on Twitter as @benwoelk.